Stonewood Builders and Homes websites go live! 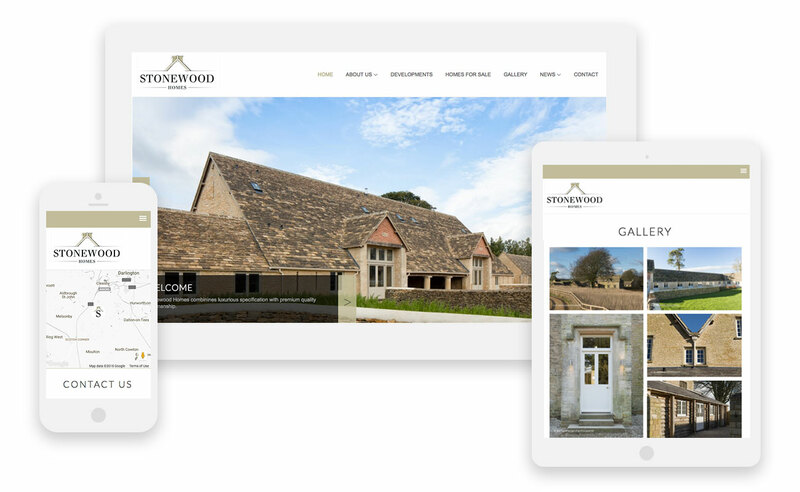 In an exciting new step for Stonewood, we recently launched the Stonewood Homes and Stonewood Builders websites. Award winning builders, Stonewood, specialize in high specification projects. Well known for their exceptional customer service, Stonewood have a long-standing reputation for innovation, quality and their commitment to excellence. Two separate websites were required – One to support their building work, one for the development side of the business. And we needed a consistent look and feel between the sites, adhering to Stonewood’s brand guidelines, whilst giving both a distinct identity. The balance had to be right. Naturally it’s important to Stonewood that their websites keep pace with modern trends. Ensuring that their websites work seamlessly on mobiles and tablets was essential.